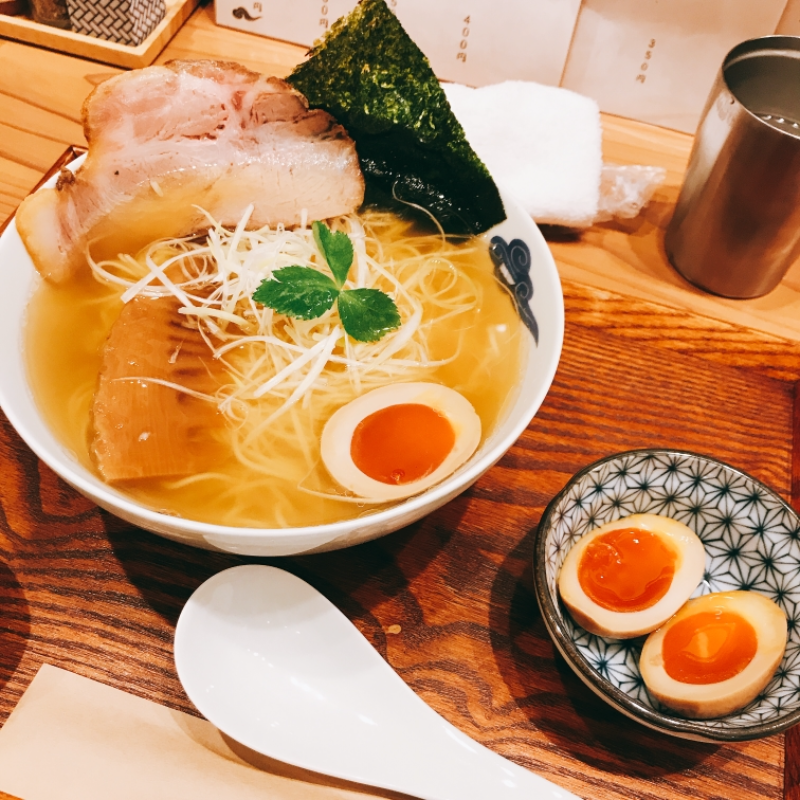 Located within 10 minutes' walk of the crossing at Shijokawaramachi in Kyoto' s vibrant downtown area, Inoichi specializes in elegantly flavored soups made with chicken dashi stock and seafood flavors. The interior has a relaxed atmosphere and the staff are very approachable. The street that the restaurant is located on has long been a hive for electrical products, with plenty of stores selling games, computers, and other electrical products open for perusal. Fragrant ramen made with chicken dashi stock and seafood flavors, including dried "shinachiku " bamboo shoots with a firm yet simultaneously soft texture. Topping it off is a soft-boiled egg with a faint, delicious sweetness. 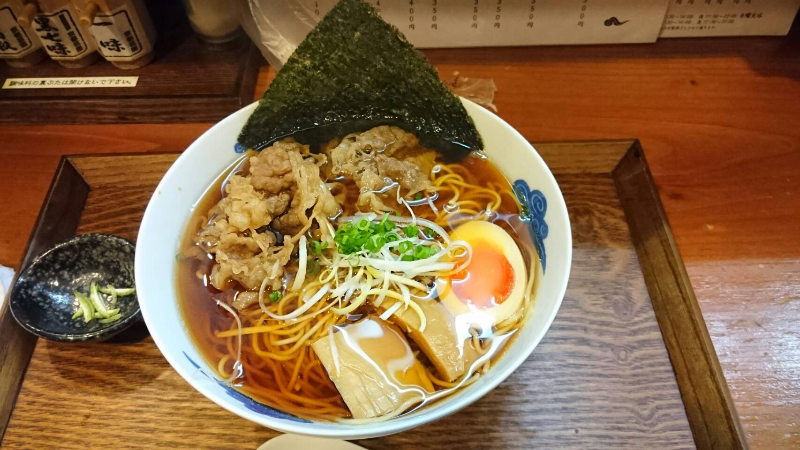 Ramen made with a base of rich soy sauce. Compared to the Shinasoba（Shiro）, the soy sauce’s flavor is much richer. Recommended for lovers of strongly flavored ramen. An extremely refreshing juice made with homemade vegetables including spinage, potherb mustard, lemons, and more. Just a little of the Tororo Kombu on your table added to your soup will boost its richness, but take care not to add too much as the flavor might get overpowered. 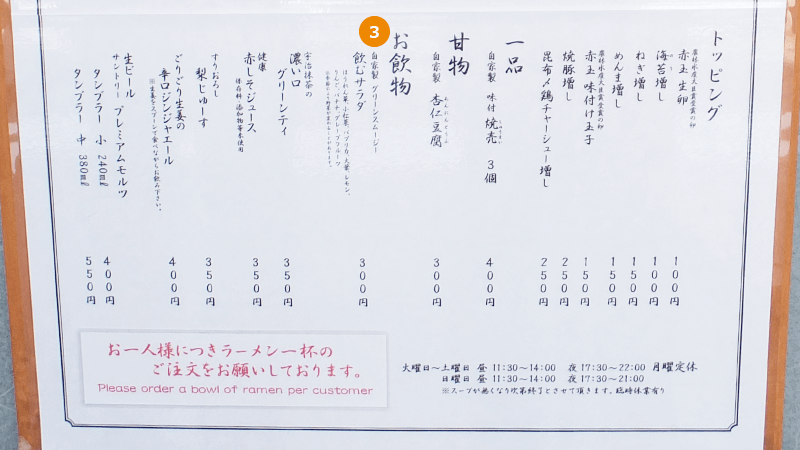 You can double up your portion of noodles for just an additional 200 yen. Men should find a double portion more than enough, while a regular size should be plenty for women. 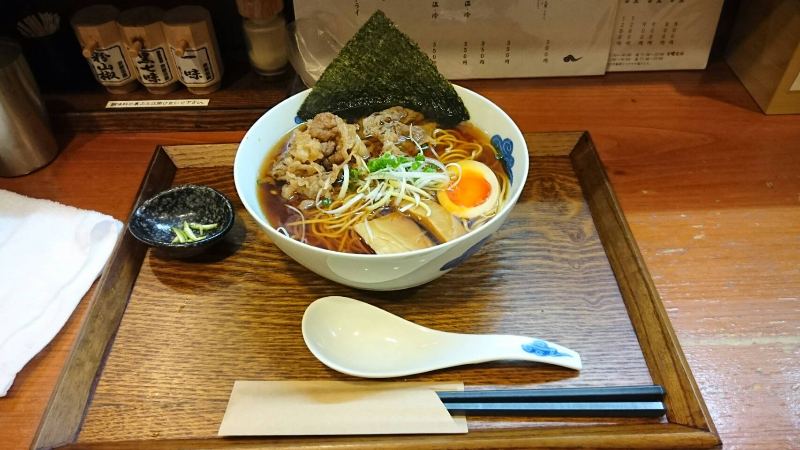 One of the more popular refreshing ramen stores in Kyoto. As the restaurant closes up when they run out of soup, and because it’s always very busy, we recommend making sure to arrive 10 minutes before opening. 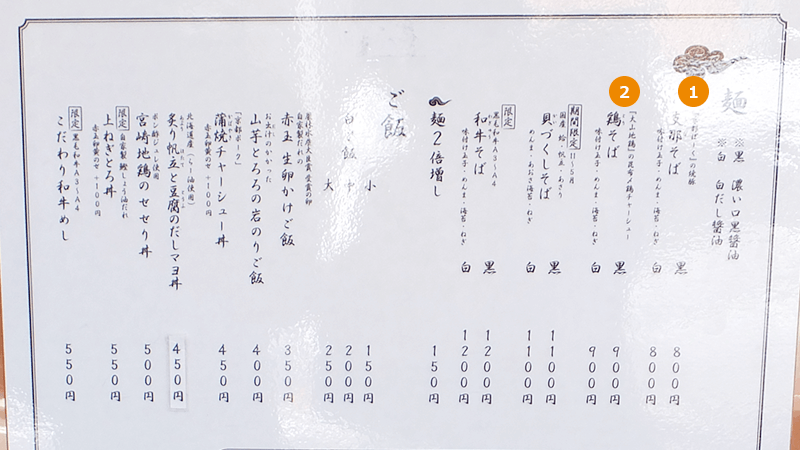 10-minute walk from Hankyu Kawaramachi Station. Gets very busy between 12 and 2 pm, often with waits of between 10 and 20 minutes. The staff will understand fine if you’re simply placing an order.